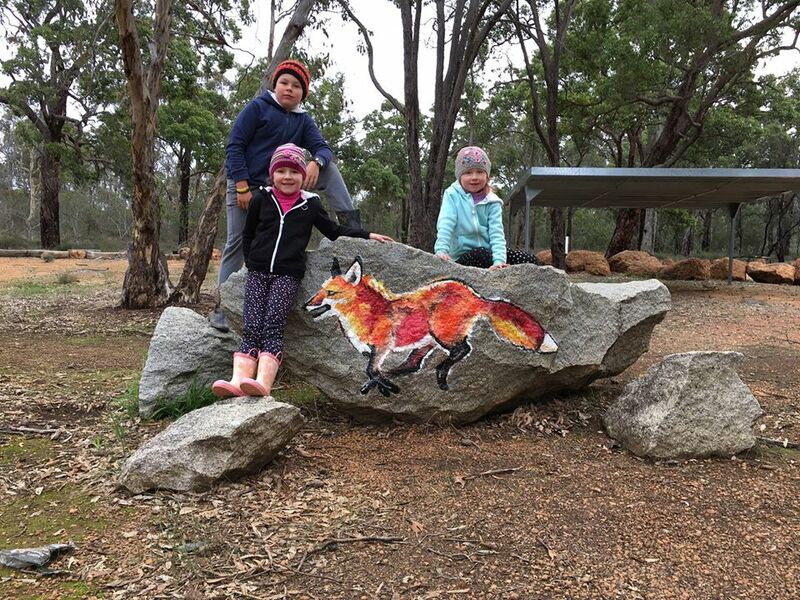 Foxes Lair Nature Park, a 60 hectare bush land area within the Narrogin town boundary, draws travellers and flora and fauna buffs from all across the globe. 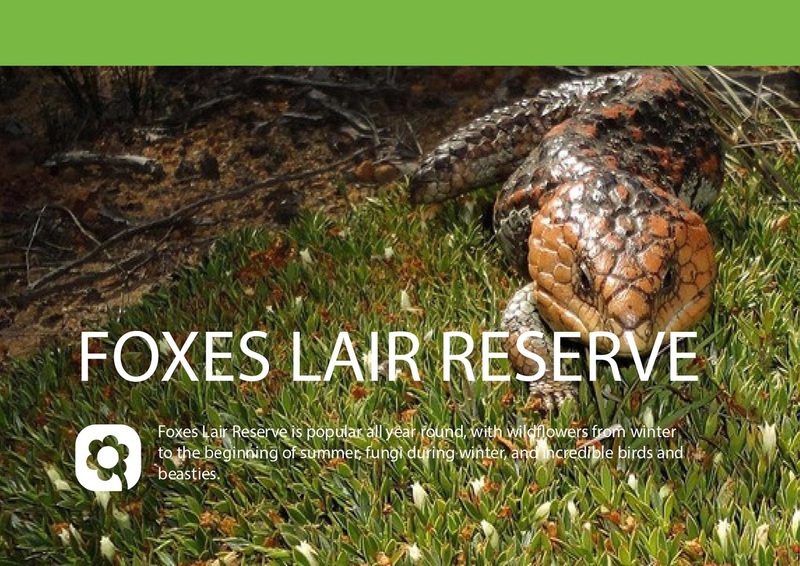 Foxes Lair is unique for its spectacular array of rare wildflowers and orchids, as well as beautiful endemic wildlife and incredible bird life. The Arboretum has over 70 species of eucalypts. Colour coded walking tracks are identified at information bays inside the two entry points. One track is wheelchair accessible. Entry into Foxes Lair is well signed. Enter either on the north side from Williams Road opposite the caravan park or from the corner of Floreat Street and Range Road. 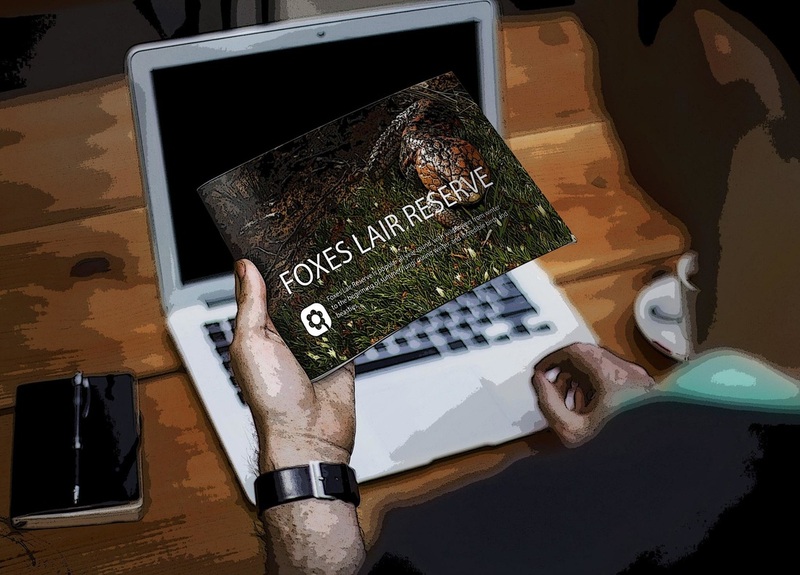 For maps and more info visit the Foxes Lair website here. 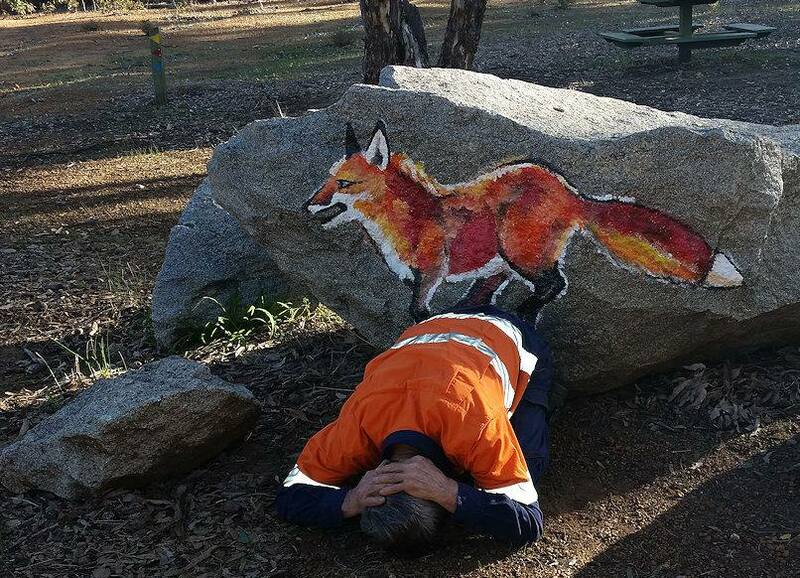 Can you find Foxy Rock? Barna Mia Animal Sanctuary is one of the jewels in Dryandra’s crown. Nestled within the Dryandra Woodland you will find a truly unique sanctuary for endangered marsupials. 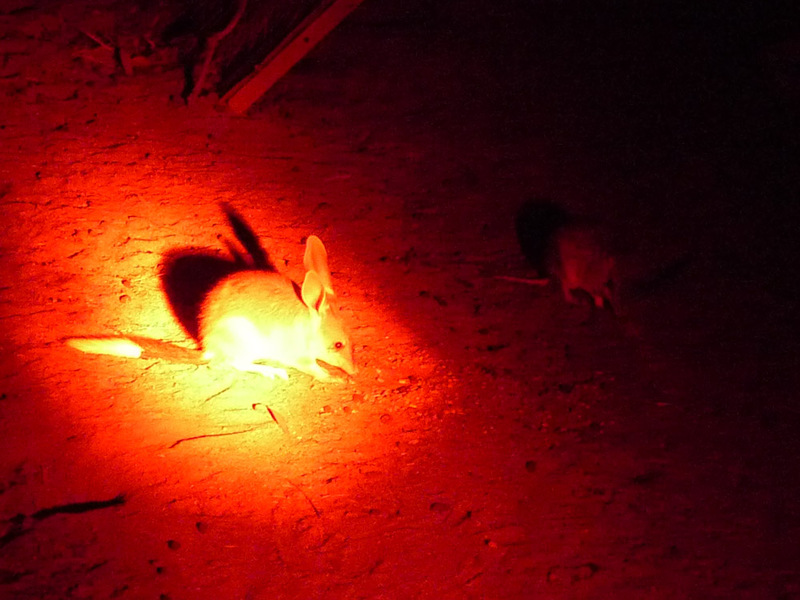 Tourists and locals alike flock to Barna Mia to take a guided nocturnal tour with the chance to view bilbies, wallabies, bandicoots, and woylies. Bookings are essential as the tours fill up quickly. 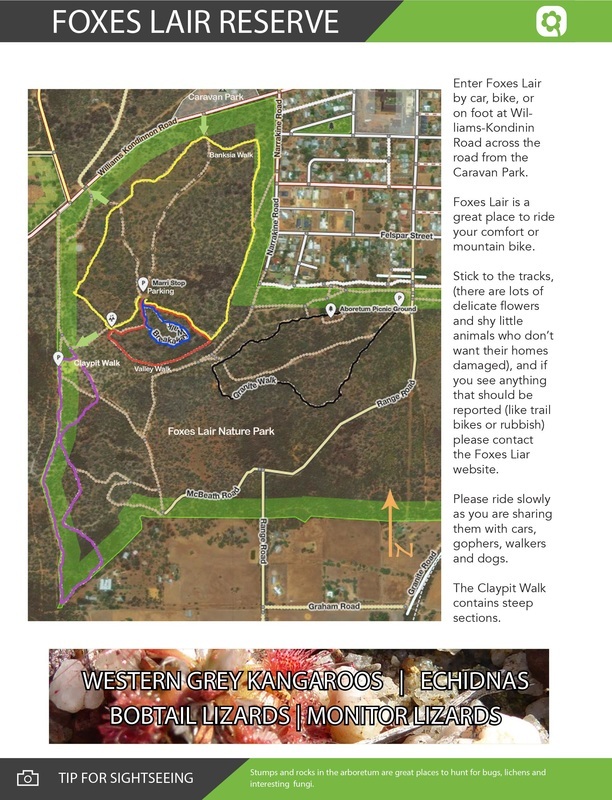 Accommodation is available at the Lions Dryandra Village. 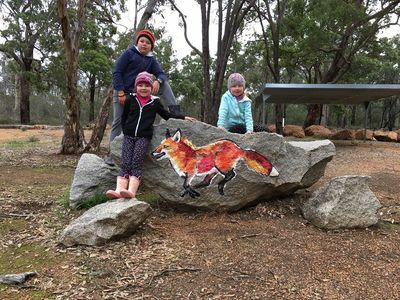 Campers are welcome at Congelin Campground and the new Gnaala Mia Campground which have camp sites suitable for tents, camper trailers and caravans. Fees do apply. 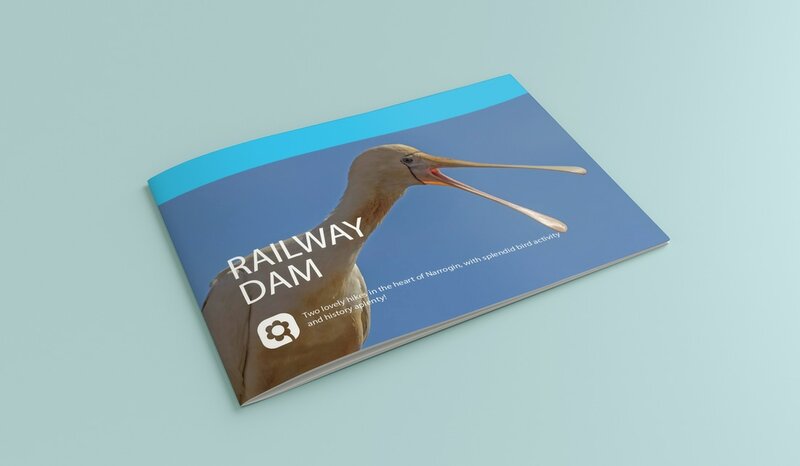 With two great short hikes Railway Dam is sensational for the visitor who wants to spend their time very close to the centre of Narrogin. Pop in to the Visitor Centre and grab a guide. 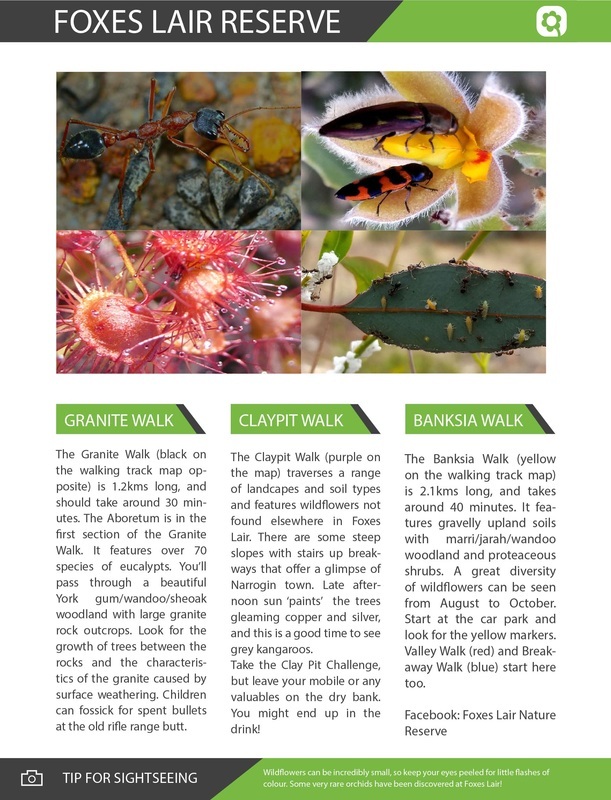 You can walk to Railway Dam from the DCVCN. Wolwolling Pool in is Highbury, a few minutes out of Narrogin. Follow the signs to Wagin. The award winning winery was founded by Rex and Jan Hayes and family in 1997. The vines grow on what was a working farm for many years, and they have a cellar door and tastings, and also run a lovely restaurant. The cellar door is open Friday to Monday. 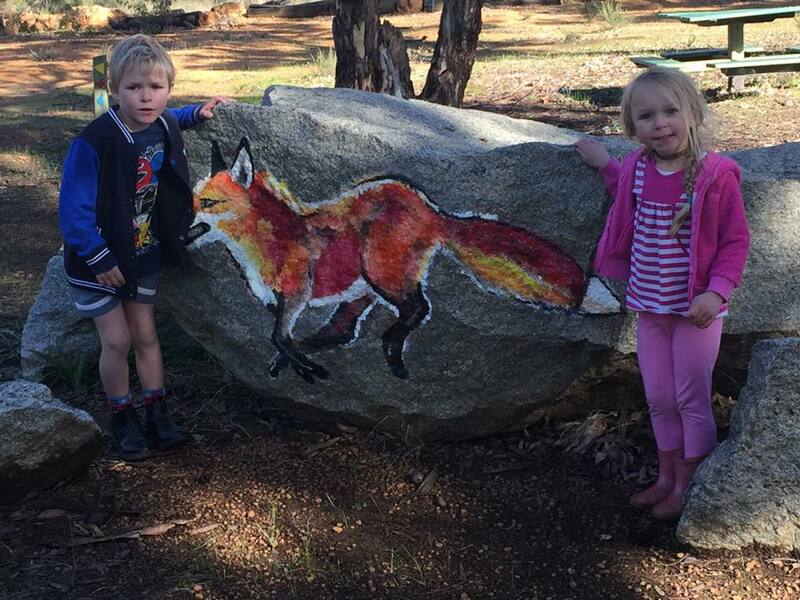 Situated at Lot 2 Graham Road (off Tarwonga Road) Dumberning via Narrogin. If coming from Williams travel approx. 24km. Turn right into Tarwonga Rd and travel 5.5krns right into Graham Road and first gate on left. If travelling from Narrogin, take the WIlliams Road, travel approx. 6kms. Turn left into Tarwonga Road. Approx 5 1/2 kms turn right into Graham Road. All sign posted. At Gnarojin Park visitors can walk or ride the 1.5km heritage trail. 100 black granite tiles depict events since Narrogin was settled in 1892. Many of the tiles portray important historical events, and give an interesting overview of life in historical and modern day Narrogin. The trail starts near Kipling and Gordon Streets, and follows along beside the creek to Herald Street. 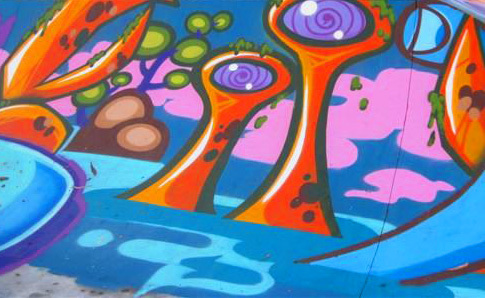 Along the way find a playground, artwork, the Noongar Dreaming Site, and the new skate park. The Old Courthouse Museum displays an eclectic mix of historical memorabilia, photos, and locally produced objet d’art. The Museum boasts a large and fascinating collection of pieces, which have undergone significant cataloguing. Find the museum on the corner of Earl and Egerton Streets. Yilliminning Rock has a spectacular view! Located 17 kilometers east of Narrogin town, take a short hike up the 48 meter high rock for panoramic vistas of the area. The area boasts seasonal wildflowers, and plenty of sightings of endemic lizards like the Ornate Dragon Lizard (Ctenophorus ornatus). Even more exciting! 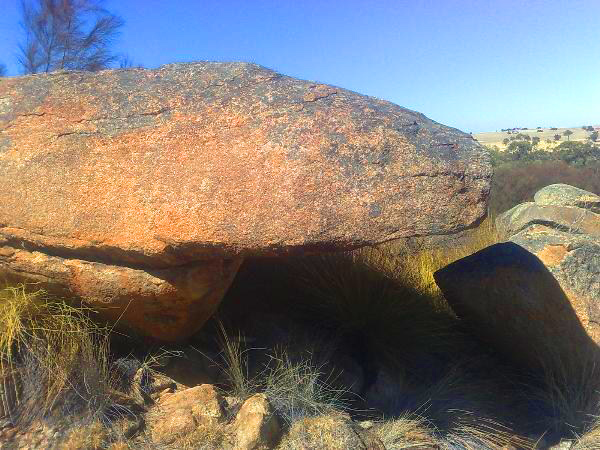 There is a geocache at the rock, which has been visited by many people from around the world. It has a 2/5 star rating for difficulty, and 2.5/5 star difficulty for terrain to find the geocache. Follow the link for an encrypted letter replacement code, and a description of where the cache is located. The Narrogin Regional Leisure Centre has two superb pools: a large indoor heated pool with an observation bridge, kid’s waterfalls, and shallow pond. 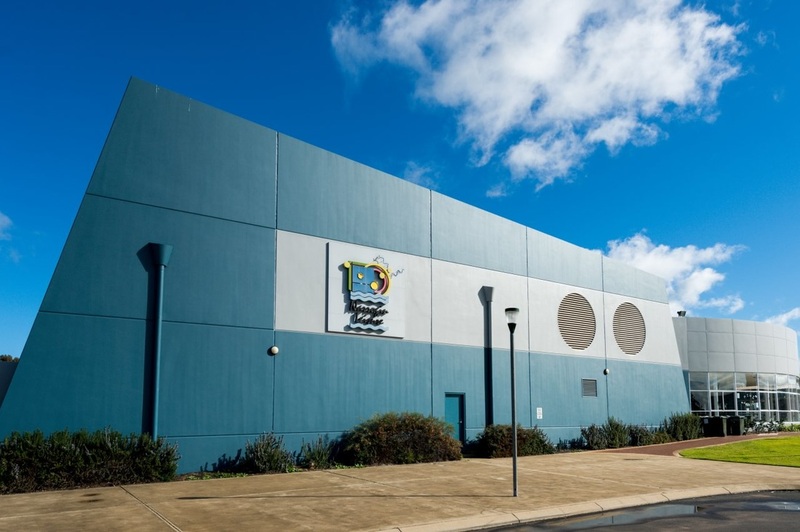 There is a kiosk, a large state of the art gym, squash, basketball and netball courts and Narrogin’s nationally recognised international standard synthetic turf hockey pitch (home of the Upper Great Southern Hockey Association). 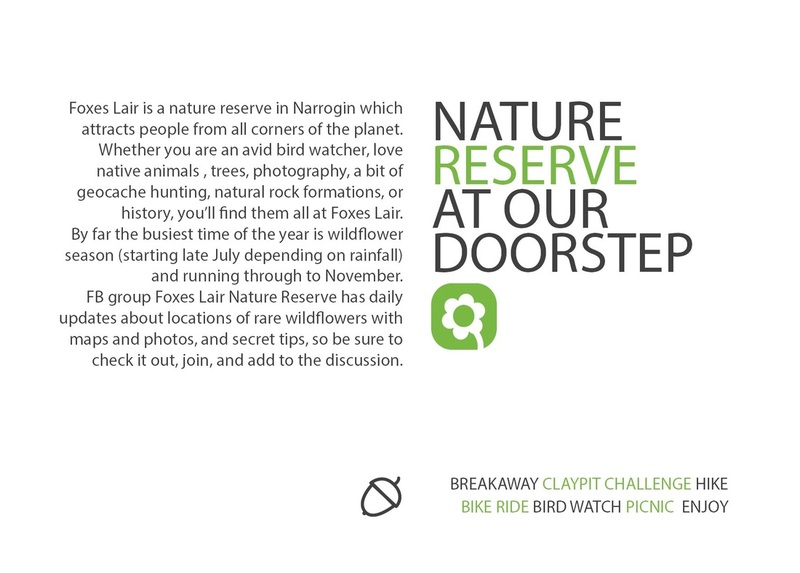 Spread your wings and get a glimpse of Dryandra from the air. 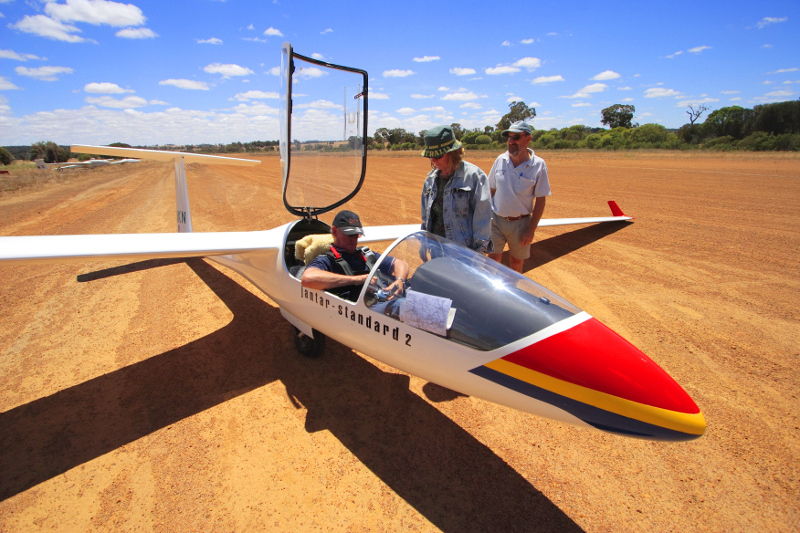 The Narrogin Gliding Club have an Air Experience Flight on any weekend and most public holidays, weather permitting. Narrogin Race and Pace is the first club in WA to incorporate both Thoroughbred and Harness Racing. They attract a wide spread of visitors from across WA. Expect a big crowd, comprising of visitors from Perth and the surrounding area. The Narrogin Agricultural Show has a long history. In 2018 the show is taking place on the 20th of October. It has all the fun of the fair coupled with a country show: side show alley, farm machinery, stalls, showbags, and equestrian shows run by the agricultural college students. 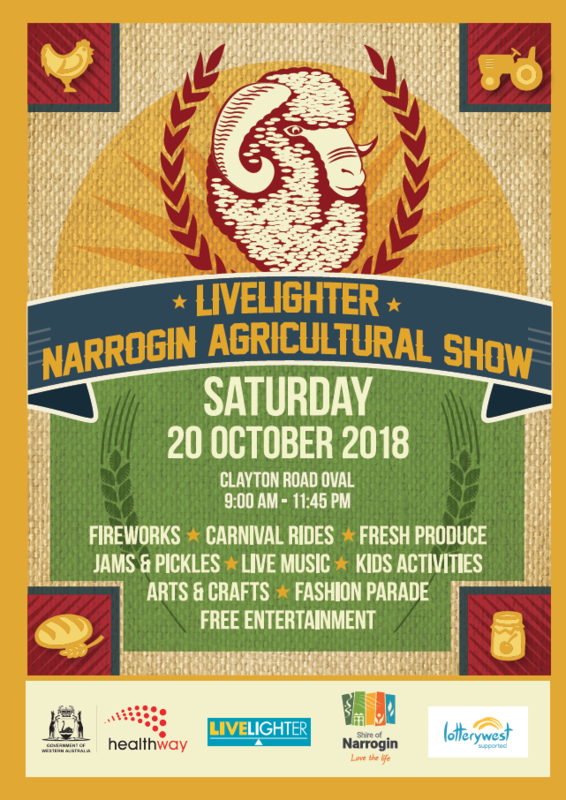 To check other schedules visit www.narroginagsociety.com.au. 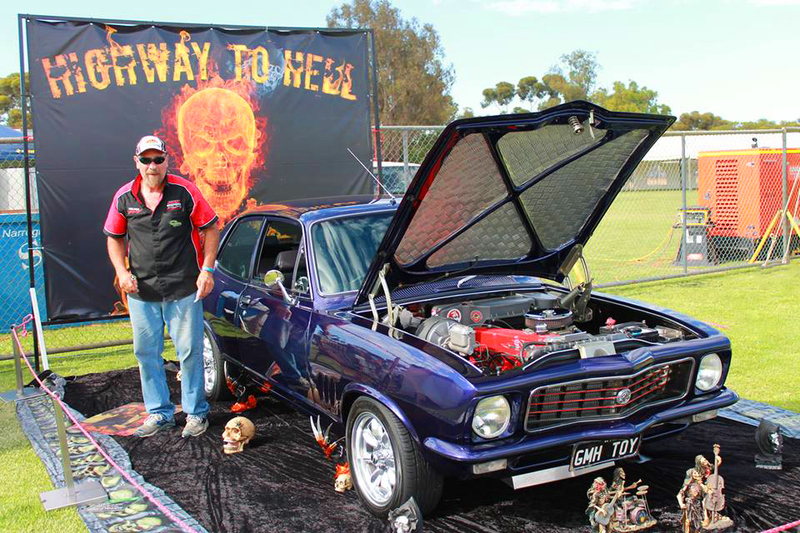 Revheads falls on the 3rd weekend in November annually, and has attracted visitors from the likes of the founders of Crusty Demons to some of Australia’s premier burnout and show car heroes. Now in its third decade Revheads has a large programme of comps to enter, and people attend from across Australia. It’s a massive weekend, which just keeps growing.